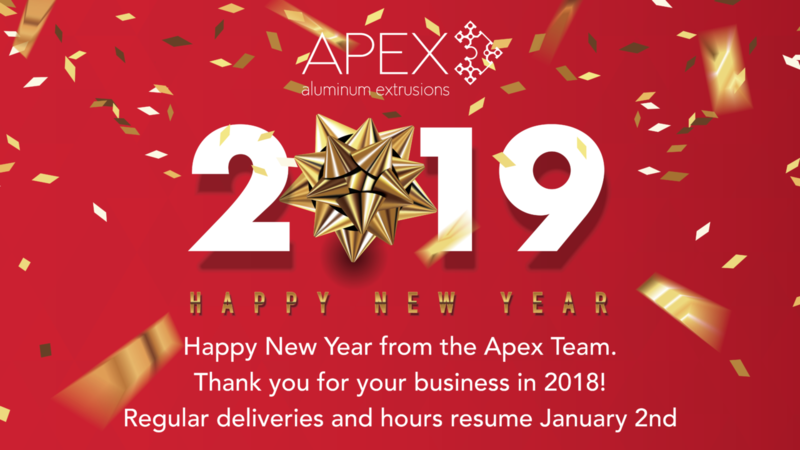 Apex Aluminum Extrusions wishes all of our customers, suppliers and partners a Happy New Year! Thank you for your business and support in 2018. We look forward to working with you in 2019. Our regular hours and delivery schedule resumes on Wednesday, January 2nd. At Apex Extrusions we’re very thankful for our clients, colleagues and staff, who continually help us to achieve high quality standards for all of our extrusion products. Please note that we will be closed Monday, October 8th to allow our team an opportunity to give thanks, but we’re back at it on Tuesday, October 9th. Wishing everyone a happy, cozy, safe holiday weekend. Apex Facade Systems, a division of Apex Aluminum Extrusions is proud to be a gold sponsor for the 2017 CSC Conference in Kelowna, BC. The conference is being hosted by Construction Specifications Canada and is being held from May 24-28, 2017 at the Delta Hotels Great Okanagan Resort and Conference Centre. Be sure to visit our booth to meet with the Apex team and learn more about our Apex’s new glazing system that will be launching summer 2017. 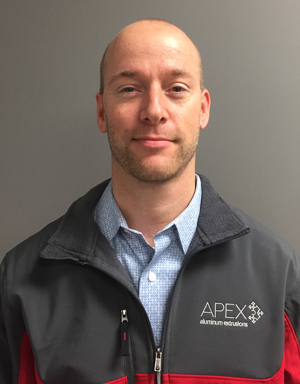 Apex Aluminum Extrusions is proud to announce its newest team member, Randy Smith in the role of Architectural Sales Representative. He will be providing support to customers throughout British Columbia and Alberta for Apex’s upcoming architectural glazing solution, Apex Facade Systems. 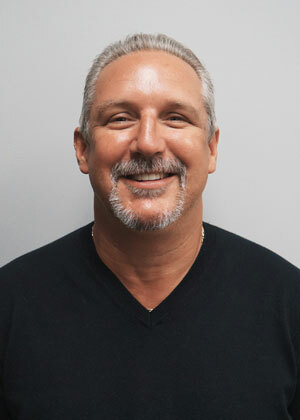 Randy brings more than twenty years’ experience in the aluminum and glazing industry to this new position. He began his career as a red seal journeyman glazier before moving into the role of architectural sales manager for Alumicor. Randy recently obtained his Certified Technical Representative designation with Construction Specification Canada. Apex Aluminum Extrusions and sister company Vitrum Glass Group will be exhibiting at the 2017 Building Envelope Conference. The BEC Conference is hosted by the Glass Association of North America and is being held from February 6-8, 2017 at Caesars Palace Las Vegas. 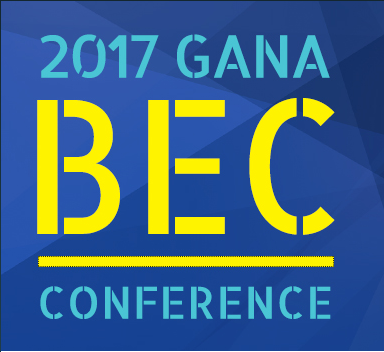 The 2017 GANA Building Envelope Contractors (BEC) Conference will provide a forum for more than 400 contract glaziers, industry suppliers and technical experts to connect and discuss critical issues and important trends for building with glass in today’s modern world. Be sure to visit our exhibit table to meet with the Vitrum and Apex team and learn more about our new and innovative product offerings for 2017. 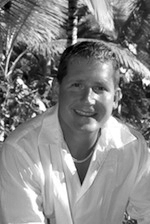 Apex Aluminum Extrusions is proud to announce its newest team member, Owen Anderson in the role of Account Executive. He will be providing support to customers throughout Washington, Oregon and Northern California and will be based out of Vancouver, Washington. Owen can be reached by call 1.866.970.5948. 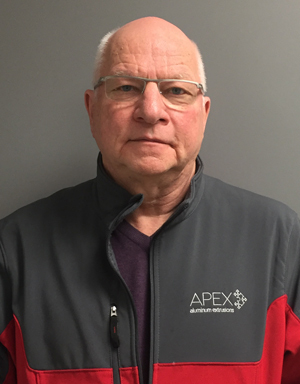 Following the announcement that Bill de Koning has been promoted to the position of Vice President, Apex Aluminum Extrusions has announced that Don Welsh will be joining the company as their General Manager effective March 14, 2016. “With previous management positions in marketing, distribution and product development for window and aluminum glazing companies, Don brings an ideal blend of experience to this role,” said Thomas Martini, president of Apex Aluminum Extrusions. “Don will be overseeing the sales, marketing and new product launches for Apex Aluminum Extrusions. His customer focused strategies align with the culture of the Apex team and his proven leadership skills will accelerate the already strong growth of Apex. Apex Aluminum Extrusions, Western Canada’s only Aluminum Extruder, has promoted Bill de Koning to the position of Vice President effective February 18, 2016. 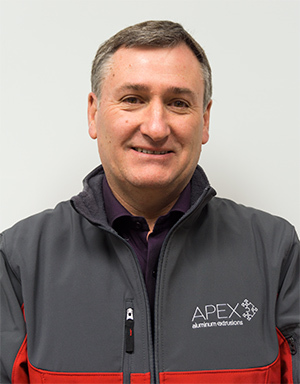 Bill has been with Apex Aluminum in the position of General Manager since 2010 and brings with him over thirty years of management experience from a wide range of positions in the aluminum extrusion and glazing industry. 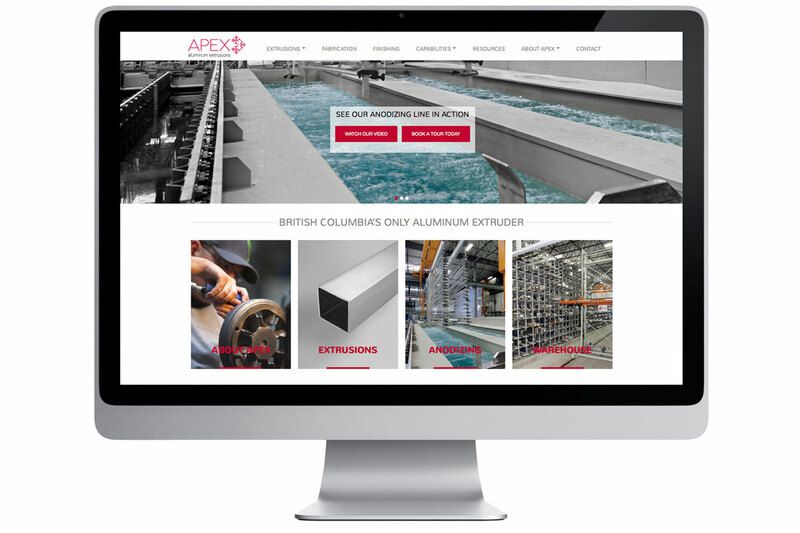 Apex Aluminum Extrusions is pleased to announce that our newly designed website at apexextrusions.ca is live! Our website’s user-friendly navigation and fresh new look are some of the key features you will enjoy. This new site offers several easy to use drop down menus with updated information about our capabilities and finishing, along with our updated product listings with an online quote request system for time conscious ordering. Our main objective was to build a user-friendly and simple to navigate site. This new design will allow the users to quickly find the information they need. 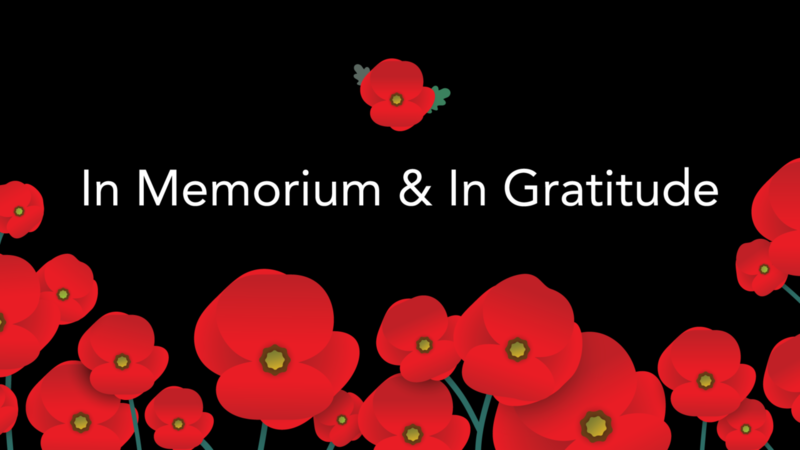 We hope you find this new site to be easy to use and informative. 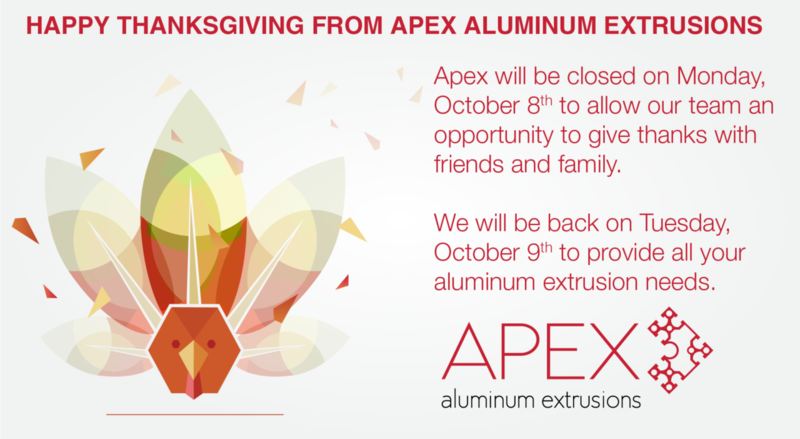 If you have any questions or feedback, please contact us at marketing@apexextrusions.ca. Apex Aluminum Extrusions and sister company Vitrum Glass Group will be presenting at this year’s Building Envelope Conference. The BEC conference is hosted by the Glass Association of North America and is being held March 8-10, 2015 at the Paris Las Vegas Resort & Casino. This year’s event will focus on change and growth within the industry and how those changes affect those in the contract glazing industry. On Monday afternoon Thomas Martini, president of Apex Aluminum Extrusions and Vitrum Glass Group will be speaking with attendees about the ongoing challenges of lead times and how Apex & Vitrum can provide glaziers with short cycle lead times. If you are attending this year’s conference please keep an eye out for the Apex Aluminum Extrusions and the Vitrum Glass Group team. 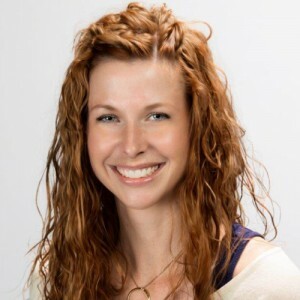 Tara Brummet Joins Apex Sales Team. Apex is pleased to add Tara Brummet to our sales team. Tara brings a wealth of glazing knowledge, which will be advantageous for our customers who are looking for a combined glass & aluminum solution. Welcome to the team Tara! We are excited to announce the launch of the new company logo as part of the ongoing evolution of our company’s brand. Our business has grown and evolved over the last few years, and we felt it was time for a change. We have refreshed our logo to reflect who we are today and to symbolize our dynamic future. We would like to take the opportunity today to introduce you to our newest sister company, Apex Aluminum Extrusions Ltd, to compliment our existing offering of fabricated glass products for the architectural market. Two years ago, we realized that the potential synergy of supplying Aluminum Extrusions to Vitrum’s existing customer base would be a creative solution for our customers. Apex is in the process of commissioning the most state-of-the-art extrusion facility in Canada, and has been established to supply high quality products, with short lead times to the local market.